I am starting a series called here at MDC called "Fabulous Finds". Every week I intent to showcase one Shop/ Designer whose work I admire. The feature will especially include products with an eclectic and global feel!! I recently stumbled upon Amy's Etsy shop called "From Past to Present". I must say that I was intrigued by the name itself :-) This is a shop where cushions are made with re-claimed often vintage and hand printed textiles. Here is a lovely description of the textiles she uses for her products. " 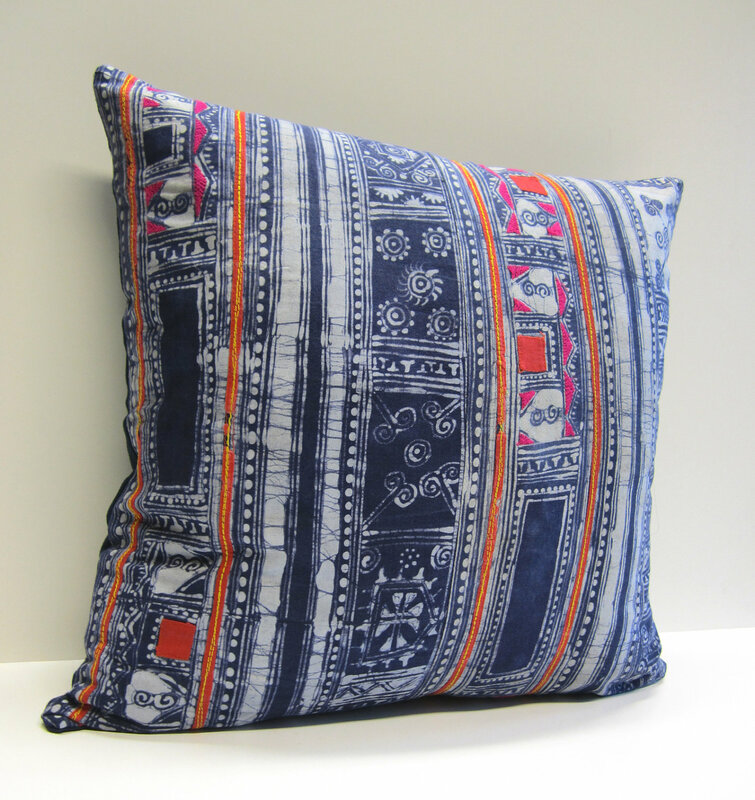 I use re-claimed and vintage textiles which were once part of a garment worn by Hmong women. The Hmong are an Asian ethnic group living in the mountainous regions of Thailand, Vietnam, Laos and China. They use a traditional batik process where wax is applied to a piece of cloth and dyed with natural dyes. The wax is then removed and the design is created where the wax has prevented the dye from penetrating the cloth. Colourful embroidery is then added to the batik designs." What a fascinating story and process, don't you think? 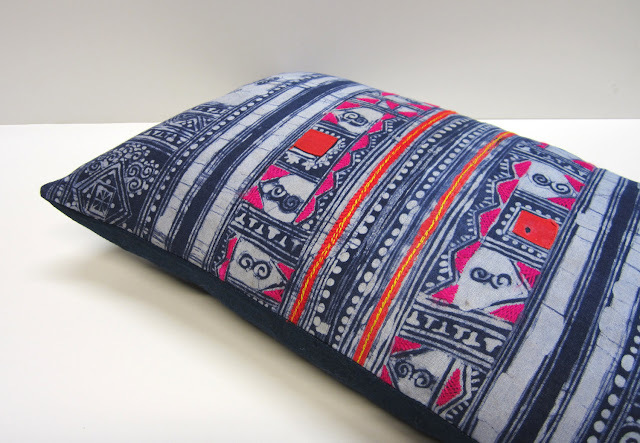 I adore these striking cushions. Hope you have enjoyed my " Fabulous Finds for this week"
Liked your blog overall. Super!